In part 1, I talked about my personal experience with three of the most popular operating systems for mobile devices of today and the future. In this post, I’d like to continue my analysis by looking at which OS has the biggest potential to become a hit product of our classrooms. Windows Phone 7, Microsoft’s attempt to catch up by focusing on a simple user experience (and making Apple fans feel bad for liking a Windows device). And we’re at Sunnydale High School. Helen, the principal, really wants to make their school cool and fun by providing their students and teachers with one-to-one technology. After all, it’s so hard to capture students’ attention these days, and being proficient with computers will surely give students a competitive edge in the information society of the future. But here’s the thing: the school is on a really tight budget and they have to decide what to invest in. Should they install interactive blackboards in every classroom? Get a computer in every classroom? Give each student their own computer? That’s all very expensive, and the investment they made in those tiny netbooks two years ago didn’t really pay off. Nobody likes them. The teachers hate them because the screens are so tiny and because Word is so slow to use. The students hate them because they are slower than the computers they have at home and because even their phones provide a better Facebook experience. And the IT stuff hates them because they are just as annoying to maintain and support as their big brothers in the computer lab. So, the netbooks are mostly collecting dust in the closets. or being used as paperweight - at least something they’re sort of good at. Is the answer in those new mobile, post-PC devices everyone keeps talking about? Let’s take a look! There is one big problem with using smartphones in classrooms: most students don’t have them (yet) and schools probably can’t afford to be buying phones for their students, as the prices are quite steep without a contract with a mobile operator. In a few years, when smartphones become common place, sure, they might become great learning aids in classroom, but until them we’ll probably see them used as personal learning tools by students with the privilege of owning one. Unless mobile operators start making deals with schools, of course, which is not probably not something we can put our money on. And even when most students have smartphones, the biggest potential might not be in their operating systems and native apps, but in web apps that students on any mobile platform with a modern browser can use. Even Apple already has a nice webpage dedicated to touch ready Web apps. Truth be told, web apps are probably more convenient for schools than managing native mobile apps (especially paid ones). The only requirement for schools here is a reliable WiFi network that can handle hundreds of concurrent devices. Microsoft did however showcase an interesting glimpse into the future of connected devices with a Windows Phone 7 integration with Kinect, a system that allows Xbox users to control games with body movements. The video below looks like pure fun, but just imagine transferring this idea to a classroom full of students and enable them to interact with software with a combination of body movements and touch inputs on various mobile devices. Verdict: Smartphones are probably not a viable option for most classrooms yet. However, as smartphones with modern browsers become more commonplace, web apps might have the biggest potential because they are platform independent. Just make sure to have a good WiFi network in place to avoid expensive data charges. Another interesting opportunity will be brought by the ability of smartphones to connect to other devices and form a rich interaction network based on natural inputs. The next category of devices to look at is the smartphones without the ability to connect to cellphone networks i.e. mainly Apple’s iPod Touch. 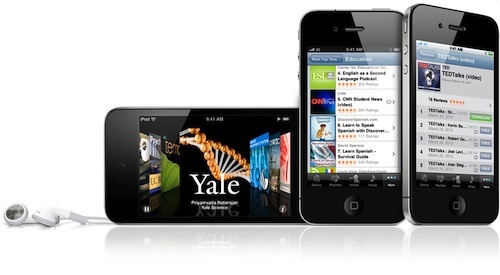 It’s got most of the goodies of its big brother, the iPhone 4, but at less than half its price. The drawback is that you have to rely on WiFi networks for internet connectivity. Luckily, these are getting increasingly popular at more and more places, and practically all schools I’ve visited recently have at least some sort of WiFi network of their own. 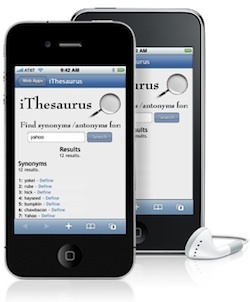 And the iPod Touch also brings an important advantage to the table: there are already several documented studies of successful uses of iPod Touches (and even the less capable devices in the iPod family) in classrooms. And Apple even provides a special PDF guide for using iPod touch and iTunes for teaching and learning. We’re probably all aware of the fact that podcasting has been in use for several years in education now, and that’s all the iPod Touch does extremely well. But it’s biggest strength are of course the apps. A lot of quality apps that can be used in classroom. And while the school still needs to figure out ways to manage different iPod Touches and keep them all charged and synced, the updating process certainly is less of a hassle than on regular computer. There are several ways to use the same computer with different devices or have multiple devices linked to one iTunes account, a special program for buying and distributing apps to students in volume, and even custom mobile labs (more on that later). However, having to sync Apple’s devices with iTunes is probably the biggest hassle iOS devices have, so that’s probably something to keep in mind. Ok, moving on to competitors. Hmmm. Ah, there is one - Samsung’s Galaxy Player, the first Android powered competitor to the iPod Touch. But here’s the thing - it’s not on the market yet. It will supposedly be a bit cheaper than the iPod Touch - both in price and hardware. So, let’s just wait to see this one on the market first and see how it does, ok? Right. So, we have Windows Phone 7 left. Sadly, as the name indicates, it’s a phone OS, so no real competition here either. On the other hand, we could include Zune HD, Microsoft’s portable media player, in the mix, considering the experience is somehow similar to WP7. 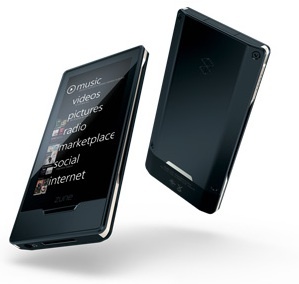 So, what does the Zune HD has to offer? Yes, music and video of course. What about apps? Aye, it has apps! How many? 42. And how many apps are there for the iPod Touch? About 350,000. Right, I rest my case. Verdict: The iPod Touch certainly is a big winner here with a proven track record of classroom excellence. It’s a great device for podcasting, and on top of that supports tons of quality educational apps. It will be very hard for competitors to catch up with this little gem anytime soon! Let’s just move to the next category of mobile device that will supposedly be a bit more crowded this year: the tablets. This week Apple announced the iPad 2. Now thinner, faster, lighter, with cameras, 10-hour battery life, even more magic and the same starting price - $499. 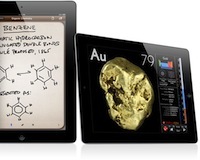 It’s the original iPad made better and there are over 65,000 apps designed specifically for the iPad. The original iPad is already being used to enhance teaching and learning on all levels. For some inspiring examples, have a look at the short promo video on the Learning with iPad site. 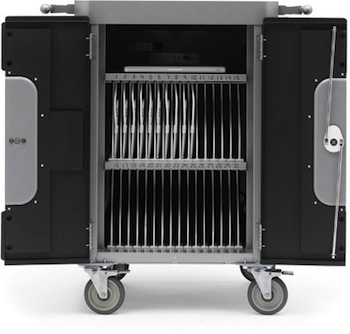 And for schools, Apple is even offering incredibly sleek iPad Learning Labs (I want a cabinet filled with iPads too! 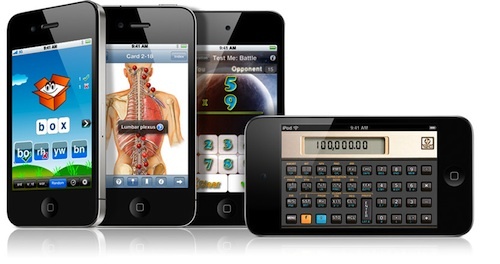 ), so it’s definitely a big plus to have various iOS Learning Solutions readily available. 15 million iPads were sold all over the world in just 9 months, so there’s no doubt the new model will also be a hit. Probably the biggest challenge that Apple is facing with the iPad is how to ship enough units to satisfy the huge demand for this truly magical device - and that’s certainly a good problem to be having! Now, moving on to Android. The recent Mobile World Congress was full of new Android tablet announcements. The powerful Motorola Xoom, already on sale in the States, Samsung offering a new, iPad size 10 inch version of its Galaxy Tab, LG G-Slate, Acer Iconia Tabs, Asus Eee Pads, Dell Streak 10… They come in all shapes and sizes, varying from 7 to 10 inches. One thing they all have in common: Android 3.0 Honeycomb. The first version of Android designed specifically for tablets. My first impression from the videos and reviews? It looks… crowded. Yes, some elements are rather nice - the way it does multitasking, notifications. But it seems like it’s trying to borrow a bit too much from the desktop world. I especially wonder how that will work out on the smaller tablets. I haven’t had the chance to try out a Honeycomb device yet, as they are only starting to ship, so my opinion might change once I actually get to try a Honeycomb device first hand. But there is one big elephant in the Honeycomb room: the lack of apps for Android tablets. Sure, Honeycomb does a good job at scaling up apps made for Android smarphones of smaller sizes, but having apps designed for tablets in mind is a different story. Think The Elements app for the iPad. And here, yet again, Apple has a massive head start. Sure, in a year or two the number of Honeycomb apps will probably be more respectable, but for now, sitting around 100, the lack of apps remains it’s Achilles’ heel. In the meantime, the iPad is getting new, amazing new apps every day. Like the mind blowing iPad versions of iMovie (shown above) and Garage Band made by Apple. I can’t imagine those two running on an Android tablet, but I surely can see those two apps being used by students all all ages in classrooms all over the world! So, the impression I get here is that the manufacturers will have to invest a lot of effort in making their Android tablets more user friendly. HTC, for instance, has showcased a pretty nifty notetaking app that works with Evernote on its 7 inch HTC Flyer tablet (also just announced at the Mobile World Congress, not yet on the market). Not sure about the additional stylus, but it looks pretty interesting! Another interesting fact is that the HTC Flyer won’t ship with Honeycomb, but rather with Android 2.3 Gingerbread with a special edition of HTC Sense (HTC’s custom UI modification for Android) made just for tablets. HTC says a Honeycomb update is being worked on, but it certainly doesn’t help with the Android fragmentation issues. Now, the great thing about Android is its tight integration with Google services. And that could be a good selling point for Android tablets in education, as a lot of students already have Google Accounts, and a lot of schools might even be using Google Apps for Education already. Very convenient! It would be even more convenient if Google you could get Google Apps for Education in a big package with Android tablets, but unfortunately that is very unlikely considering that Google isn’t a hardware company. Which means that schools looking to buy Android tablets will have to do it on their own or get help from some other company (anyone aware of companies providing Google Apps and Android tablets bundles?). But let’s not forget App Inventor, Google’s free and relatively easy to use tool for programming Android apps that is targeted at the educational market. Now, THAT looks interesting, but it’s surely not for every school at every level. It’s more of a niche candy that will hopefully attract students to Android development, which might someday result in better Android apps. So, Android does have some advantages, but at the same time the tablets are having a hard time matching iPad’s $499 starting price. 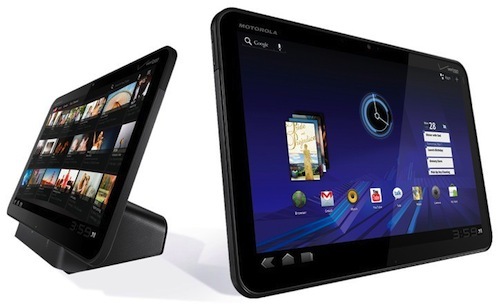 For instance, the Motorola Xoom’s $800 (no contract) entry price is anything but compatible. Yes, it does Google services well, but there are still tons of other apps that are still missing. What about Windows Phone 7? Again, notice the phone in the name? Microsoft apparently wants your to have the WP7 experience on your smartphone only. And the Windows tablets will be running, well, Windows 7. 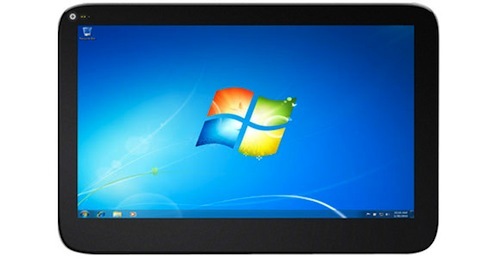 Windows tablets have been on the market way before the iPad with little success. Sure, it’s a familiar environment for users, but so far it seems that users prefer a much more simpler OS on their portable devices, so I’m not really placing any bets on Windows 7 (or 8) tablets. Steve Jobs had this to say about tablets: “These are post-PC devices, that need to be even easier to use than a PC.” Agreed. Verdict: It seems that 2011 will yet again be the year of the iPad. Yes, Android tablets have great integration with Google services most of already use, and the App Inventor is an interesting tool for learning and teaching programming, but the steep prices and the lack of apps are a major disappointment. Plus, most of the new Android tablets that have been announced are not on the market yet, so we’ll probably have to wait at least another year for a real Android tablet breakthrough. As to Microsoft, they’d better start thinking about how to make the tablet experience as pleasant as their new smartphone experience. Again, at least a year or more before that happens. In the mean time, the iPad might become just as iconic and commonplace as the iPods on the market for MP3 players. Which devices are classroom ready? Today? I think I’ve made it pretty clear that the market for smart mobile devices is far from mature. Apple is leading the way in practically every category and others are playing catch up. Sure, Android is rapidly gaining market share when it comes to smartphones (not surprisingly, considering the number and variety of devices), but the tablet market (much more interesting for education) is still in its infancy. 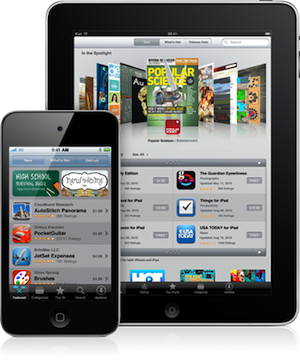 Apple’s iOS devices - mainly the iPod Touch and the iPad - do however have one huge advantage: the choice of quality apps and the affordable price. Additionally, schools can even get convenient mobile learning labs with iOS devices, so they’re easier to manage. And that’s why I think that today the iPod Touch and the iPad are the best choice for classrooms - and for encouraging learning outside of classrooms as well. The Android tablets have been rather disappointing so far, though the situation might change when more Honeycomb tablets (and apps) become available on the market. But without apps that can compare to those already available for the iPad, the competition will be a rather boring one. So, for today, my vote certainly goes to the iPod Touch and the iPad (depending on your budget). I know I might sound like an Apple commercial, but these two devices are truly amazing to use, and the competition is still lagging behind. So, for now, I really can’t wait to get the new iPad and have tons of fun exploring all the new apps and learning new stuff along the way. What about your classroom?